Took a trip to Kauai recently, it’s the second time we’ve been to Hawaii. The first time was Maui and it was great to get back, made even better by visiting another island. We were there just over 6 days and went hiking 4 of those. The weather was great, as was the water, people, and the whole experience. Even though I enjoy the snow and my ski trips in the winter you can’t really complain about this. 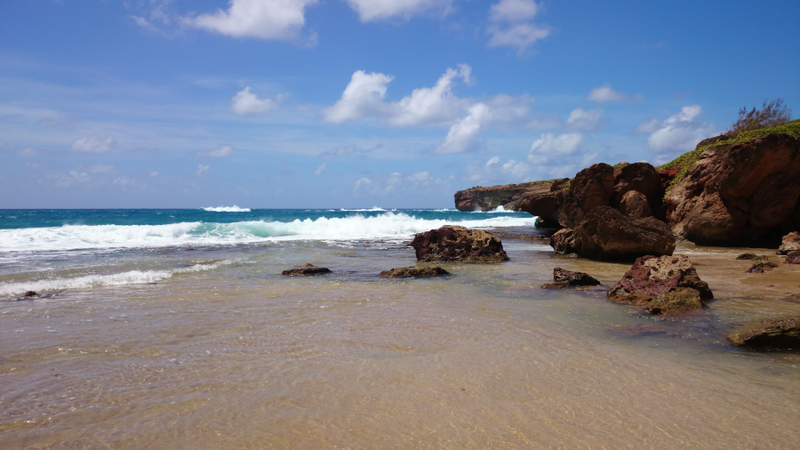 More picks in this Kauai Flickr Album. 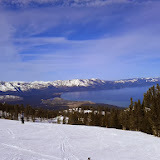 The ski trip this year was to Tahoe, CA, where we visited Heavenly Valley and Kirkwood. Up until the end of January there had not been much snow there, a third or less of Heavenly was open. As luck would have it though Heavenly got about three feet of snow 7-10 days before our trip and Kirkwood had even more. We all flew into Sacramento, CA and stopped for lunch at Dad’s Kitchen before leaving town. Featured on Diners Drive-Ins and Dives Dad’s has great food and atmosphere. Don’t be fooled by it’s postage stamp size from the outside or minimal parking, it opens up once you get in the door and is well worth the effort. The drive up highway 50 to Tahoe is pretty easy and mostly uphill. There was no issues with road conditions and the views were really nice. We got into Tahoe late afternoon and a few of us needed equipment so we headed out to pick that up while the others hit the grocery store. I found good deals at Rainbow Ski Rental and they have a number of shops around town. All packages aren’t available at all locations so we picked ours up at the one next to the Gondola, we figured that should be convenient come the end of the trip. Day one was at Heavenly, 40 degrees and sunny with virtually no wind. From the Tamarack Lodge we headed up the Tamarack Express and hungout on the west side for most of the morning. After lunch we made are way to the Canyon Express for a few runs before some of us called it a day a few hours before the lifts close, myself included. Day two was off to Kirkwood, about 40 minutes south of Tahoe. A quiet place that you might miss if you weren’t paying attention. As we were dirving in I didn’t even see the slopes until we pulled up to park at the Timber Creek Base Area. Not many people there for a Friday, 10 of the 15 waiting to get on the lift when they opened was our group. Weather was the same as yesterday, 40’s and sunny. After a few runs off the TC Express to get warmed up we headed over to the backside and the Sunrise lift. Snow over there was excellent and the runs were not crowded at all, I can’t remember waiting more than a minute for the lift. Day three was back to Kirkwood as we figured with it being Saturday Heavenly would be more crowded. Another prefect day weather wise but there was less skiing for me. By lunch time it was obvious all the skiing was wearing me down and the legs were having a tough time keeping up. So a couple of us headed to the bar, Snowshoe Thompsons at the Timber Creek Base Area, to sit in the snow take in the sun and have a couple pints. Day four was back to Heavely for a few of us as the group split up. From the start it was obvious four days in a row would be a little much for me as there wasn’t much energy. The day ended at lunch time as a couple of us turned in our skis. I’ll have to remember next year to either get preped ahead of time or only ski three of the four days. Regardless of not skiing all day every day it was a great trip. You couldn’t have asked for better weather and even though we didn’t have any new snow while we were there their was plenty to ski on. Most of all it was a good time with the guys. The last few years we’ve been blessed with good weather and plenty of snow, I only hope it continues. Now if I can only fit in more than one trip a year that would be sweet! 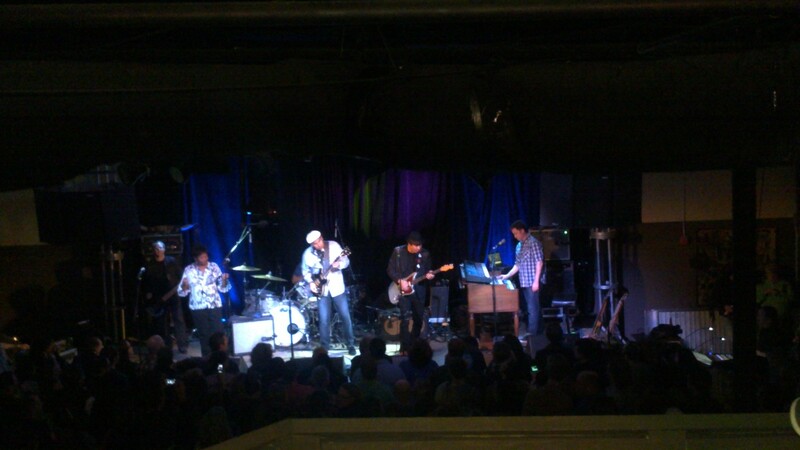 Last night we had a chance to see a great show at 3rd and Lindsley. It’s a bar and grill on 3rd Avenue in downtown Nashville, TN and a great venue for seeing live music. It had been a few years since we’d been there and when we heard on Lightning100 that Big Head Todd and the Monsters were going to be there we couldn’t pass it up. Lightning100 broadcasts from there every Sunday night and if you get there early you can find a table, have dinner and see a great show. Just so you know last night’s show started at 8:00pm, we got there at 6:25 but no tables were available. We managed to find some good seats so make sure you get there early if you want a table. The last time we saw Big Head Todd was at the The Ryman Auditorium when they were promoting the Rocksteady album. Their next album, Black Beehive, will be out in a week. Ronnie Baker Brooks was the opening act an excellent Jazz guitarist. I hadn’t heard of him before but would definitely see him again. It was pretty cool when the show started BHT&M come out with Ronnie rather than letting him open by himself. A 2 1/2 hour set with a mixture of BHT&M, Ronnie doing a few songs and jumping in on some with BHT&M. If you ever get a chance to see them don’t miss it, you won’t be disappointed. Brothers from another mother, that’s how I’ve always thought of these two. 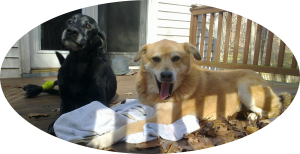 Roscoe, a black lab I got from a breeder in IL, and Cooper a golden retriever mix that came from a friend who found the mom and three pups along side the road. Roscoe had a few years on Cooper when he showed up and it didn’t take long for Cooper to start following his new big brother, but his personality would be his own. When I picked up Roscoe from the breeder I should have known what I was getting, but I don’t think I realized it. As the breeder told me about his operation the 20 minute four wheeler runs with the dogs morning and evening was a key piece of information. I would later realize what should have been obvious, Roscoe was active not so much on the social side but more on the ‘give me a job’ side. He had a hard time sitting still and always wanted to chase a ball, a fetching machine he was. Some friends called us about picking up a golden retriever with three pups along side they road. They already had two dogs and were trying to find homes for the pups. Two of them survived and since we’d been thinking about getting Roscoe a companion we thought it was a good opportunity. They lived about an hour a way, Cooper was only about 8 weeks when we brought him home. He didn’t enjoy the ride, puked once, and for the first 24 hours didn’t leave the kitchen floor. It took some time but he got use to us and his big brother but he’s not the energizer bunny that Roscoe is. Copper is good with just hang’n out. He’d always be happy to see you but calm and reserved, rarely did he get excited. He’d save that for when his big brother came back from the vet or anytime they were apart for a while. Nine years of always being together formed a bond that was a joy to be around. That bond was tested at the end of June as we were on vacation. We got a call from the pet sitter that Roscoe was not eating and having trouble with balance, she wasn’t sure if he had a seizure during the night or what. When we got back he was not his normal self and wouldn’t go down the two steps to get off the deck. He had trouble standing but was getting his appetite back. The days that followed he was getting better so much so that we started going back to the park and swimming in the river. Roscoe is 14, has trouble getting up as the back legs are not that strong but the mind is all there. When walking outside to see them he still gets up to greet you, even though you can see it take a lot of effort, tail wagging and smiling. Cooper, not far away, is content that you are there and stays where he is. The bigger test of that bond would come at the end of July. Roscoe is about 90% back to where he was before the episode and things are back to normal walks and visits to the park, all is good. So on a Wednesday evening when I walked out to see them as I normally do neither is on the deck. Cooper is 10 feet from his brother who is breathing but not responsive. As I load Roscoe into the car it would be the last time Cooper would see his big brother. A seizure or stroke we’re not sure but we had to put Roscoe down that evening. It was a lonely night for Cooper, something he would need to get use to and the next day I think he knew it. In the few weeks that followed Cooper didn’t eat as much and he was a little more distant, both could be expected. 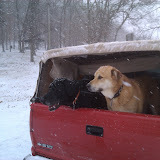 Walks were slower, Cooper’s pace isn’t as brisk as Roscoe’s, he didn’t need to keep up anymore. Trips to the park were more about getting out than anything else and we still enjoyed lounging in the cool river. Life was good, not as good as it was but not to bad, or so we thought. On Sunday (8/4) morning when I walked out to take Cooper for a walk I found him not breathing. A few hours earlier he was howling with the neighbor dogs at sirens just like he has for the last few years and now he’s left to be with his brother. We expected Roscoe he had a good run but not Copper. We do not know the cause and the necropsy was inconclusive maybe it was a broken heart or loneliness, regardless they are together again. 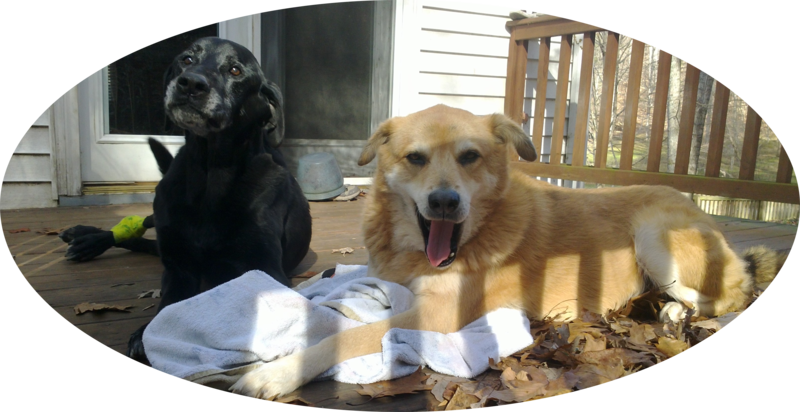 You were a great pair boys and we enjoyed your company, the deck is empty now but the memories will last forever. At the end of June we took a trip to Tahoe, would have been better if it was ski season but summer is better than nothing. We flew into Sacramento and took a quick detour up to Chico, that’s where the Sierra Nevada Brewery is, Kay’s favorite. We took the tour, which was excellent. I would have never guessed they used solar power and recycled most all of their waste. They even grow some of their own hops. Once the tour was over we stopped by the tap room for a bite to eat and a beverage. Before leaving we picked up a growler of the Ovila Saison for later that week. Chico to South Lake Tahoe is about three hours depending on how many stops you make. We decided to not go back through Sacramento and take 80 east to 267 and come down on the Nevada side. Before getting to 267 we stopped and took a couple pictures at Donner Lake. The drive was excellent and we got to the house around 6:00pm, our friends and their kids were already there. On the schedule for tomorrow, hiking. We drove up Emerald Bay Road to Inspiration Point Vista and took a few pictures, after that it was off to the Bayview Trailhead. The trail heads along a hill side for good bit until you make it to flat rock. From there you can go about anywhere. There is a water fall off the flat rock and you can look out over the lake or head up. It will take a few hours out and back plenty of great scenery and a good workout. Good thing there’s a hot tube back at the house. Day two was more hiking, this time to Angora Lakes Resort. This is a hike for anyone, young or old. It’s about a half mile from the parking lot and the resort is made up of cabins on two lakes. There’s kayaking, paddle boarding, a beach and general store. The cabins have electricity and running water but no internet or TV, cell reception is spotty too. If I remember correctly a cabin rents for a week at a time so if you really want to get a way but stay close to civilization this could be the place. For day three we still went hiking but did it a little differently. We drove in to town and got on the Heavenly Gondola for a ride up the mountain. They have an observation deck about 3/4 the way up that has ridiculous views of the city and lake. After some time there we rode up to the top and walked around the lodge. You can hike up and down the runs, even take a lift up to the top of some if you want. That was going to be a little much for the kids so we roamed around a bit and then headed back. On the ride down we saw a few folks walking down, that was impressive. Day four was the last day our friends would be there before leaving the following morning. We didn’t do any hiking, instead opted for the beach. The beach was about a mile walk from our house through a spectacular meadow. It was a relaxing afternoon, we saw a number of people on kayaks and paddle boards. I even caught a couple paddle boarders with dogs on the boards as they paddled along. The only thing that would have made it better is if the water was warmer. But it’s June and it’s Tahoe. Day five and the trip is almost over. Our friends are heading out and the weather has turned, it’s raining. Kay and I drove around a little but were not prepared to be out in the inclement conditions. As luck would have it game 7 of the Stanley Cup Finals was scheduled so all we had to do was find a place to watch it. Mo’s Place on the same property as the Super 8 was it with plenty of TV’s, good food and a family atmosphere. We did get a chance to head to the upper and lower falls behind Fallen Leaf Lake, but I don’t remember which day that was. The drive along Fallen Leaf Lake is crazy, would have been cool to take in on a motor bike but I would not recommend anything bigger than a mini van. It’s pretty much a one lane road with spots to pull to the side so anyone coming the other way can pass. It’s lined with beautiful homes but only a few on the lake side of the road. 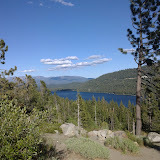 Lake Tahoe was a great time, we’d love to go back and do more hiking and see more sites. I’d like to get there in the winter once and check out the skiing too. It was a good getaway, if you haven’t been go!